Tributes continue to pour in for Chris Cornell, who passed away last month after a concert in Detroit. This particular tribute is extra special, because it features some of Cornell’s former band mates and collaborators. >During Prophets of Rage’s performance at Germany’s Rock am Ring festival Saturday,System of a Down singer Serj Tankian stepped on the stage to perform Audioslave’s “Like a Stone” in tribute to Cornell. Some fan-recorded footage of the performance is up onYouTube. Prophets of Rage features members of Rage Against the Machine and Audioslave, the latter which was one of Cornell’s bands. Cornell also has history with Tankian. The two each recorded songs for the recently released movie The Promise. Cornell’s song “The Promise,” was played during his private memorial. 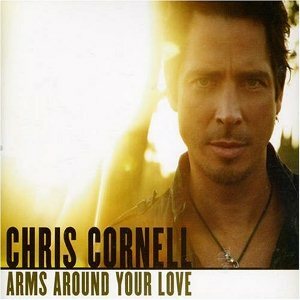 Cornell was the frontman of Audioslave as well as Soundgarden and Temple of the Dog. He also has a prolific solo career. He passed away on May 17, 2017.